One of the ugliest stereotypes about the legal profession is that medical malpractice law is a way for patients to make it increasingly difficult for doctors and nurses to do their jobs. 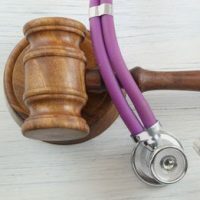 Anyone who has ever actually tried to file a medical malpractice or medical negligence claim, though, quickly finds out that Florida law has plenty of safeguards in place to protect physicians from being targeted by frivolous lawsuits. Not every medical treatment that has an undesirable outcome can become the basis of a medical malpractice lawsuit. For example, if a patient does not achieve long-term remission after a cancerous tumor is removed, or if a patient suffers from long-lasting numbness in part of his or her mouth after a wisdom tooth removal, that patient does not automatically have grounds to sue the physician or hospital for compensation. The doctor failed to provide the standard care that physicians are required to give, or can be reasonably expected to give, under the specific circumstances. The doctor’s negligence or error was the immediate cause of the patient’s current state of poor health. In treating (or failing to treat) the patient, the doctor’s actions did not conform to generally accepted practices in the medical profession. The patient suffered a long-term or permanent injury or illness because of the doctor’s error. It is very difficult to prove the above claims, especially those regarding what doctors should do in a given situation, unless you are a doctor yourself. Never mind that medicine is a vast field of knowledge; a pediatrician at a neighborhood party cannot necessarily give you expert advice about how your elderly aunt should manage her diabetes. One of the many steps before a medical malpractice case goes to trial, or reaches a settlement without going to trial, is that the plaintiff and his or her attorney must obtain a verified affidavit from a physician otherwise unrelated to the case. Not just any doctor can write the verified affidavit. In Florida, the affidavit has to be provided by a qualified doctor practicing in the same field as the prospective defendant, and that he/she must corroborate that there are reasonable grounds to believe that malpractice may have occurred. Verified affidavits are just one of the many preliminary steps you must take before filing a medical malpractice lawsuit. Contact the Palmer Law Firm, P.A. if you think you are entitled to compensation for an injury resulting from a medical error. Our Tampa attorneys are eager to assist you throughout each step of your case.